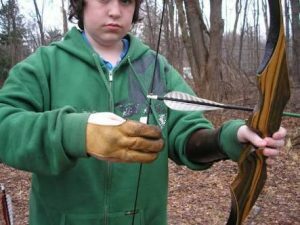 There is never a perfect technique when it comes to archery. Archery is not just an ordinary sport because it requires different techniques to get good aims. Techniques vary on how comfortable an archer is in a certain position to get a perfect shot. 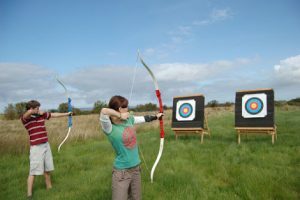 Archers differ in how they position their bows, how they take their shots and how to draw. One of the most traditional techniques that is still used by some is string walking. String walking is a traditional technique that allows the archer to use the arrow point as his aim. It allows the archer to walk or slide his hand on the bowstring on a fixed distance below the arrow nock. The distance between the arrow nock and the archer’s fingers is called the “crawl” or also known as the serving. The crawl allows the archer to estimate the distance between the aim and from where he stands. Crawl distance is wider if the archer is going to shoot a short range, while crawl distance is shorter if the distance he is aiming for is a little farther. Arrows should be carefully chosen, because of their tendency to move in an odd manner. Good sighting is also a big advantage this technique needs to measure distances in between. A broad tuning of the arrow is needed. As the archer takes position, he moves his fingers in different positions, thus making the bow limb loaded and the arrows that re drawn are in a lesser distance. The spine range should be in the middle because it varies from different position. It is also important that to get a clean and clear repeating shot cycle when shooting by string walking or it would be difficult to get good aims. One of the methods used in string walking is to count strings on the archer’s serving. Most string walkers would use a monofilament material because it gives off a more prominent feeling in counting strands. The Black Widow Tab is a popular finger tab use by many archers when shooting in string walking. This finger tab allows a T- Square effect once the archer takes position. It is advantageous for string walkers because the stitches are easier to count and it helps measures the distance between the archer and the aim. 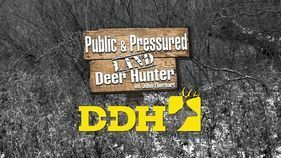 On another hand, this can create tuning problems and can be a little bit heavy for bowhunting. String walking is similar to gap shooting. They both use gaps in taking aims but the gaps differ on where they are placed. For string walking, gaps are placed below the arrow nock while for gap method, the gaps are placed below the aim. There are some archers considered string walking as a quasi instinctive and quasi Gap Method. For bowhunting, string walking can be cumbersome. It takes a huge amount of mental focus and perseverance to get a good aim. The archer must be good at estimating the distance and he has to improvise. He can only establish one string position. For string walking, broadhead arrows are not advised because there are certain tendencies that the arrows may come off a little odd, causing arrow flight to be disrupted. Aside from that, in string walking it takes time to shoot your arrow after another one. String Walking maybe banned from competitions, but many archers would still prefer using this because of it’s efficiency and accuracy in making aim. Many had come to love how it perfectly anchors the arrow on the bowstring. Archers also find this technique easy to learn but not suitable for hunting because it can slow down the archer’s shooting space. People may have different reasons to take their aim, but one thing is for sure, string walking will be a technique that many archers will find it hard not to try at least once.